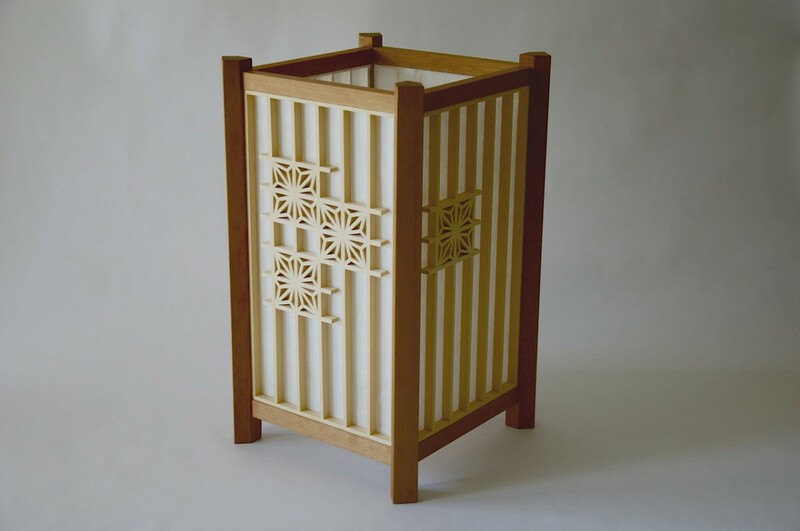 Modeled after traditional Japanese lanterns, this intricately–patterned, four–sided screen cuts a dramatic figure when illuminated from within or without. 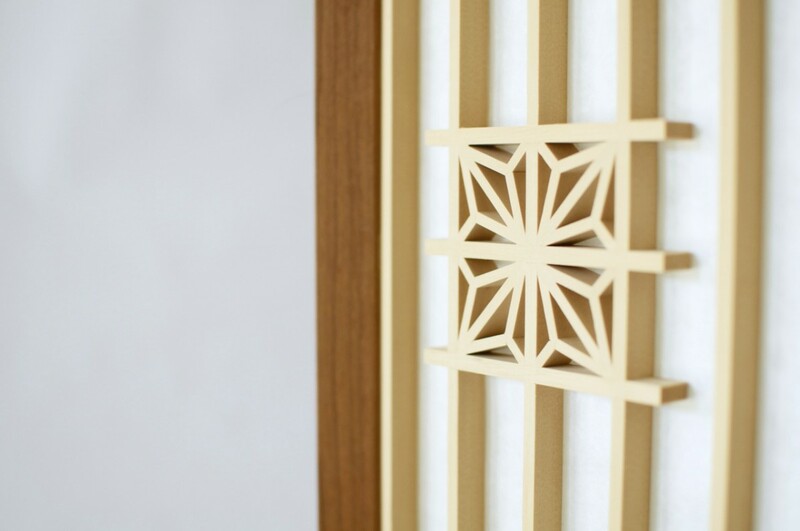 The side panels feature arrangements of the classic asa–no–ha—or hemp leaf—motif, while textured Japanese rice paper provides a gentle backdrop. At night, with a candle placed inside, the silhouetted patterns intensify and fade against the soft, warm glow of the paper. 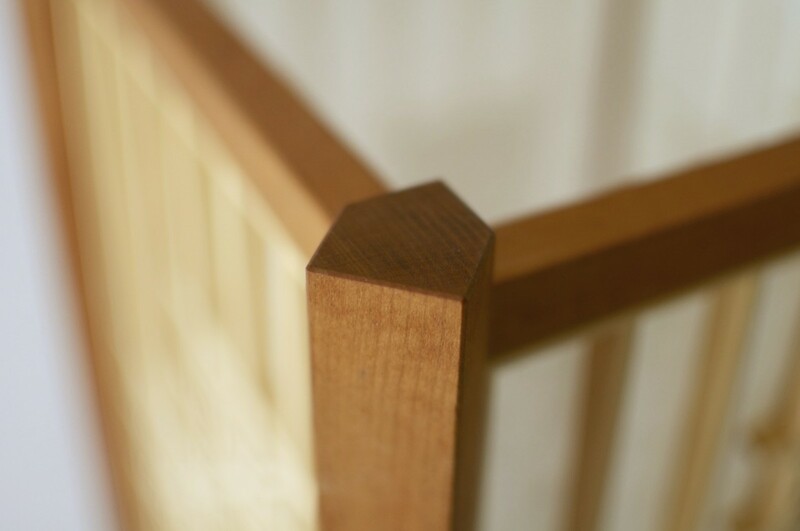 The posts and rails are quartersawn cherry, and display remarkably tight, straight grain, increasing the sense of detail and delicacy. 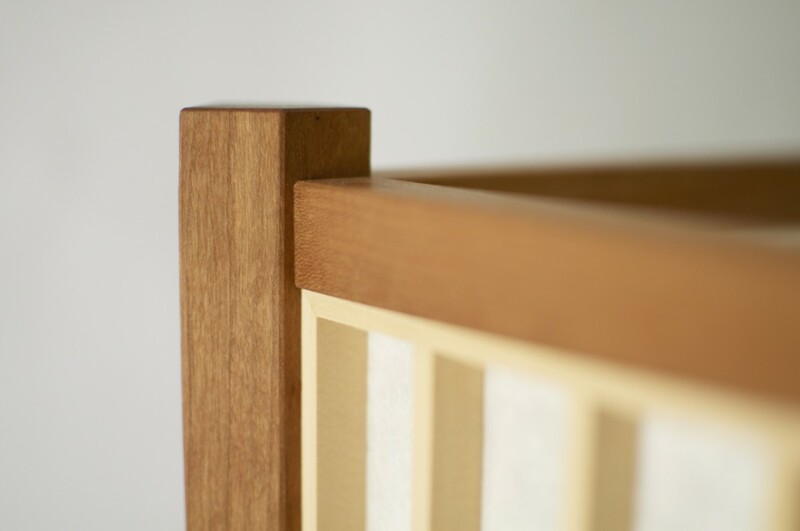 The latticework is Alaskan Yellow Cedar, equally tight and close–grained, and joined entirely by hand. 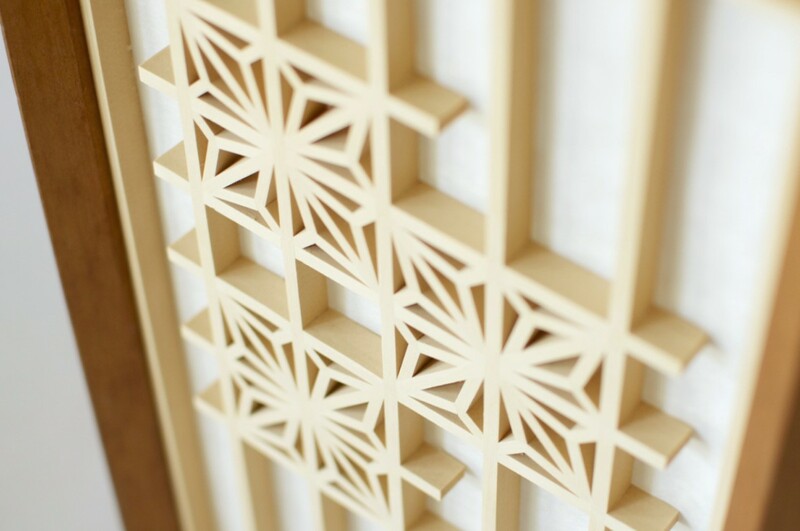 Each leaf block is composed of twenty tiny, separate pieces, all approximately 1/8″ thick. The lamp as a whole incorporates over two-hundred individual pieces of wood. 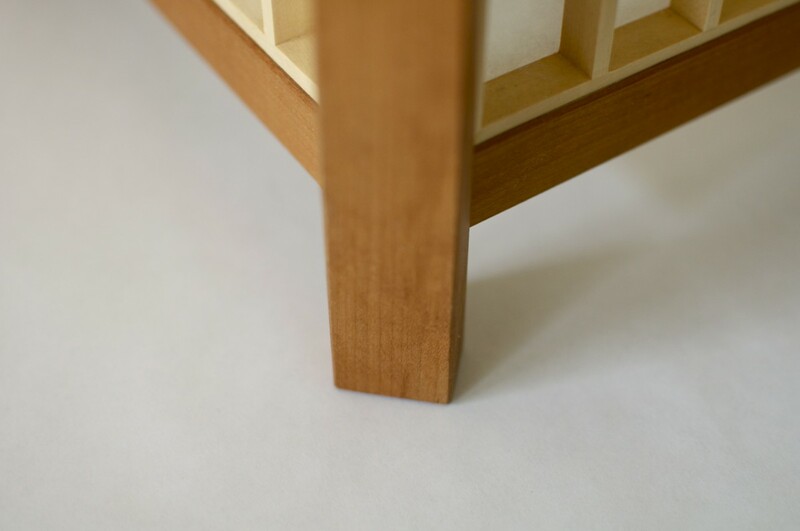 The cherry frame is hand-finished with oil and wax. 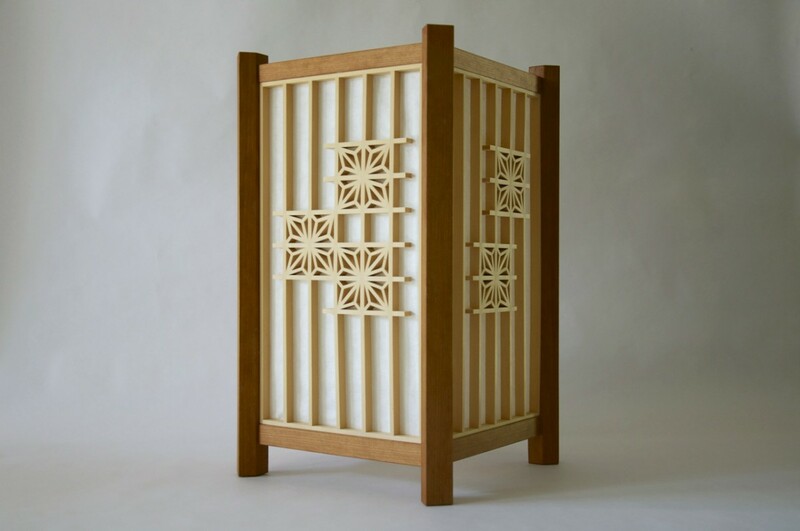 According to tradition, the latticework is left unfinished so as not to hinder the natural luster of the cedar.